Books are collaborative efforts. Yes, there are two of us here, but there's also a bevy of recipe-testers. Dale Brown is one of the latter, a go-to crackerjack in the kitchen. She's worked on half the books we've written, taking the recipes after I've set them into print and testing to see if she gets the same results we do. 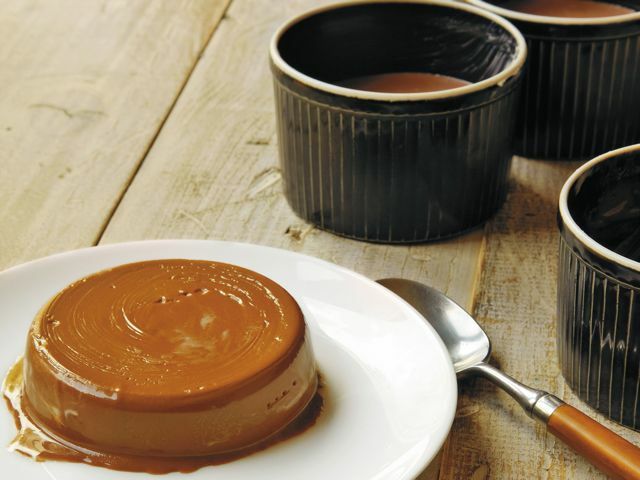 We visited her in California not too long ago and she served this delicious make-ahead chocolate panna cotta (Italian for "cooked cream"). Bruce instantly came home and tried her recipe with goat milk, to which he also added strained goat yogurt to provide some body, where cream did the duty in Dale's cowier version. Pour ½ cup (120 ml) of the milk into a bowl, then sprinkle the gelatin over the top. Set aside for 30 minutes at room temperature. Heat the remaining 1¼ cups (300 ml) milk, the sugar, chocolate, and cocoa powder in a large saucepan set over medium heat, whisking all the while, until smooth and steaming. Remove the pan from the heat and whisk in the milk-gelatin mixture until smooth. Cool at room temperature for 30 minutes. Meanwhile, lightly butter the insides of six 1-cup (240-ml) ramekins. Whisk the strained yogurt, vanilla, and salt into the goat-milk mixture until smooth. Pour this into the prepared ramekins, about ¾ cup (180 ml) in each. Refrigerate for at least 4 hours or until set — or store in the fridge for up to 3 days, covering the ramekins with plastic wrap after 4 hours. To unmold, fill a bowl with hot tap water, then dip each ramekin about halfway into the hot water for a couple of seconds. Run a thin knife around the inside of the ramekin and then invert over a serving plate to let the panna cotta plop out, shaking the ramekin a bit as necessary to get the thing to come unstuck.